This brilliant black sash reads ‘Mother of the Bride’, so no prizes for guessing which member of the hen party it’s designed for. 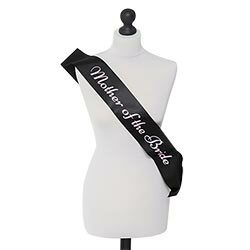 Whether she’ll be in bed after a couple of gin and bitter lemons or dancing on tables until the smallest of the small hours, the mother of the blushing bride-to-be absolutely needs to be adorned in style. 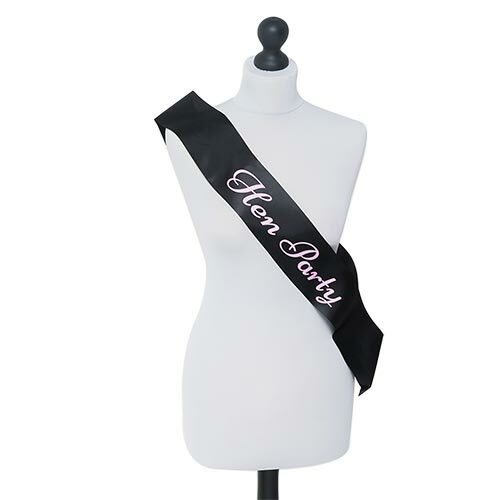 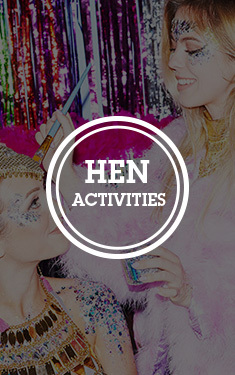 This sash is part of a matching range that covers all the members of a classic hen group, so everyone can be marvellously matching. 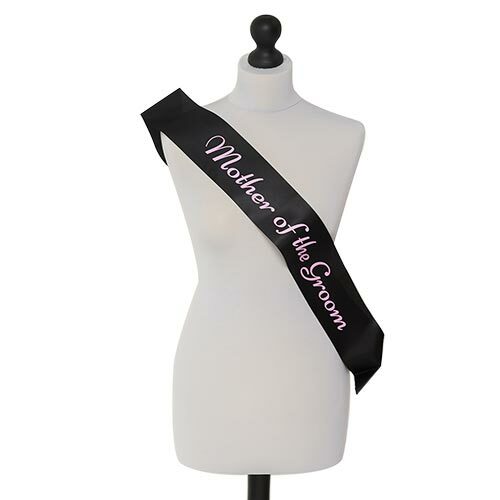 They are made of a soft black satin material that will complement any outfit and ornamented with tasteful light pink writing that adds a touch of class.